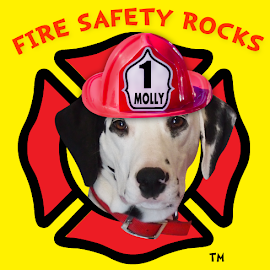 Fire Safety Rocks: Exciting news! 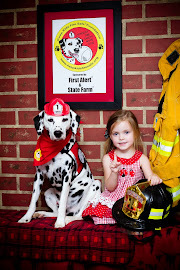 One of Firefighter Dayna's favorite bloggers in the whole wide world, Author and Mommy Blogger, Dawn Meehan, has posted a book review of my book, Sparkles the Fire Safety Dog on her Because I Said So blog. Party!!!! 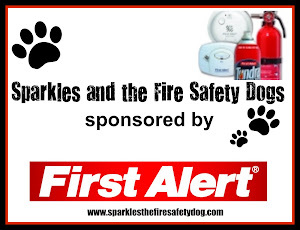 And if that wasn't enough to make your tail wag fast, she is giving away some really exciting goodies from me to two of her readers, including a special edition copy of my book and audio book, Sparkles the Fire Safety Dog. These limited edition copies will be signed by Firefighter Dayna Hilton and Firefighter Michael, who are both in the book with me. But this is the most exciting part! 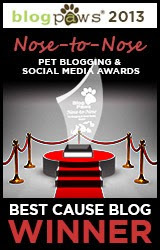 The books will be “pawed” by me! Bonus! These two winners will also receive several life saving products from Firefighter Dayna and me and First Alert, including a combination smoke and carbon monoxide alarm, Tundra™ Fire Extinguishing Spray and escape ladder, worth over $100! All to help keep you and your family safe! 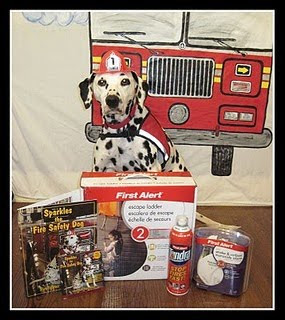 Here is my fellow fire safety dog friend, Tango, modeling with all of the loot! And, cause I am feeling so generous and because Mom likes Dawn's blog and her readers so much, I am also going to throw in a battery operated talking combination smoke alarm and carbon monoxide detector from First Alert, worth over $60! You heard it here first! Woof! The voice alarm is really easy to program even notifies you which hazard is being sensed. How cool is that? Over $160 in fire safety goods for each of two of Dawn's lucky readers! So, tell all your friends and help spread the word! 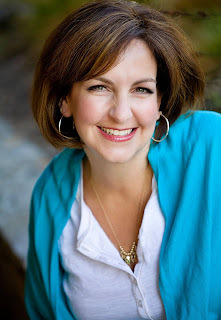 Visit Dawn's blog HERE to learn more! It's easy, it's fun and it's free! 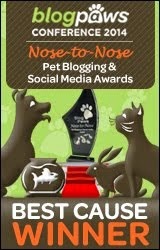 But, best of all, you'll be visiting one of the most amazing blogs on the face of the planet! Woof! 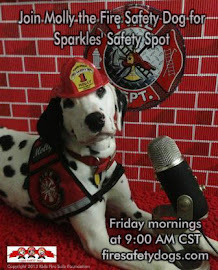 High paw, Dawn for helping me spread the fire safety message! And, a big thanks to our super awesome friends at First Alert! You guys rock. Working together we can help keep children and their caregivers fire safe! Hi Grandpaw (get it?). It's my left paw.